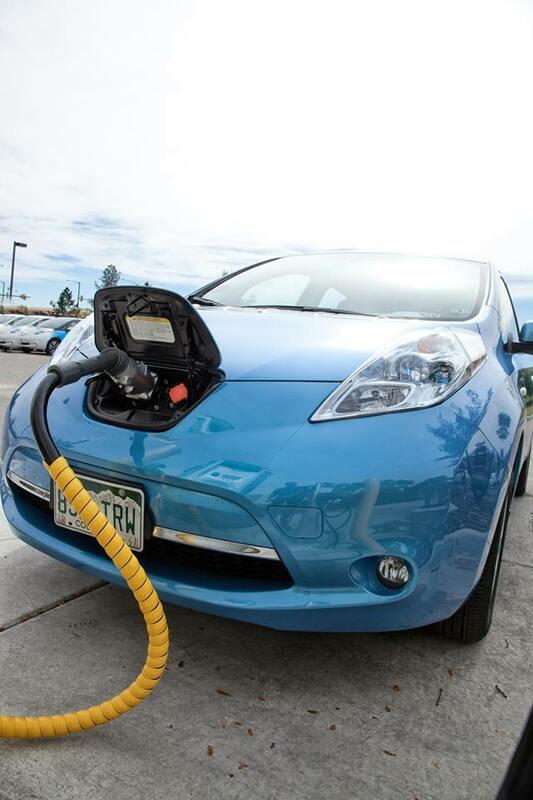 Northern Colorado sets a national example as a leader in electric vehicle adoption strategies. Building on the region’s spirit of innovation, Drive Electric Northern Colorado (DENC) is launching an ambitious new initiative to spur even greater adoption of plug-in electric vehicles (PEVs) in the region through its EV Workplace Charging Challenge. This challenge calls on our employers to join us in helping to make our community a national leader in PEV adoption. Businesses are the next frontier for expanded EV charging infrastructure, and by offering this service at the workplace, employers provide a critical incentive for the next generation of EV drivers. In 2015, DENC will recruit more than a dozen local and regional businesses to join the challenge, giving thousands of employees in Northern Colorado the ability to charge their EV at work. This February, employers from across the region will join DENC at the launch of the Northern Colorado EV Workplace Charging Challenge. This event will include a press conference and workshop, bringing together current workplace providers and experts from Northern Colorado and across the country. When: Tuesday Feb 17, 11:00 a.m. – 2:00 p.m.
Press conference: 11:00 a.m. – 11:50 a.m. The Northern Colorado EV Workplace Charging Challenge is open to employers of all sizes and from all industries. Speakers at the launch event include experts who will offer best practices, financing recommendations, and more to employers who are considering installing charging stations. The event will also connect companies with existing partners who have successfully launched workplace charging programs, forming a network of innovative businesses throughout the region. Why Should You Consider Joining the Workplace Charging Challenge? Ninety-seven percent of EV charging takes place at home or the office. By offering charging at work, employers play a critical role in encouraging and enabling drivers to drive electric—saving money, reducing pollution, and reducing our country’s dependence on oil. In addition, data collected at DENC Ride and Drive events over the last two years showed that 81 percent of participants said workplace charging would make them more likely to purchase an EV, providing the opportunity for your company or organization to facilitate the widespread transition to electric vehicles. Access to an information-sharing network and workplace charging best practices. Employee benefits: One of the most compelling benefits of an electric car is the ability to fuel it while you do other things—sleep, shop, and, in this case, work. Without having to stop at a public fueling station, an EV owner can satisfy 99 percent of their charging needs during the average workday. As employees become more aware of this possibility, they will perceive workplace charging services as an important benefit. Employee attraction: Colorado is attracting highly skilled professionals from around the country in greater volume than ever before. By offering EV charging services, you can draw in professionals looking for cutting-edge employers. Studies have also found that employers that have charging available have seen an increase in employee retention in addition to attracting top applicants. Branding and publicity: By participating in this workplace charging initiative, your company has another opportunity to raise awareness about its commitment to sustainability and innovation. Employees with access to workplace charging are 20 times more likely to drive a plug-in electric vehicle (PEV). One in 73 employees in a company with EV charging infrastructure drives a PEV compared to the national average of 1 in more than 1,400. 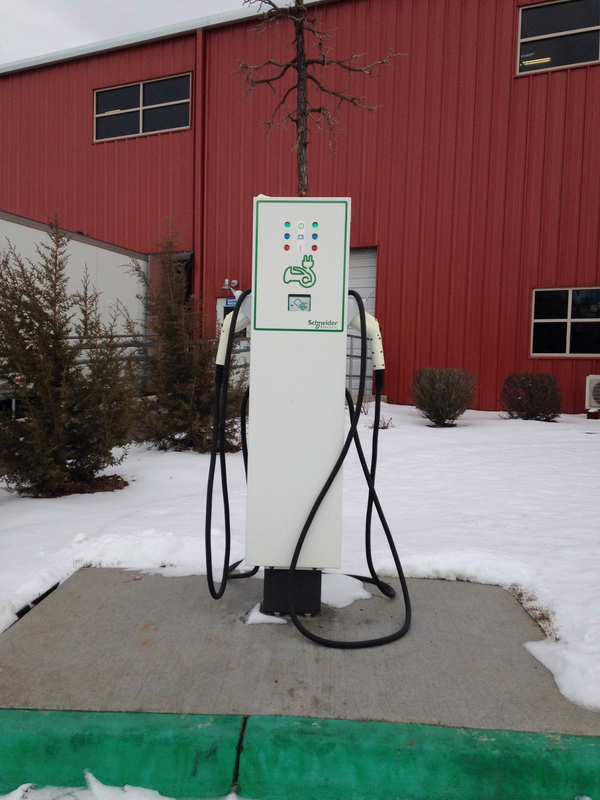 Partner charging stations in operation by June 2014 provide an estimated 6.7 million kWh of charge annually. This is the equivalent of saving 800,000 gallons of gasoline and 5.5 million pounds of greenhouse gas emissions every year—or taking nearly 1,500 average cars off U.S. roads. Provide charging access for employees at one or more worksites. Assess employee demand for charging and set a minimum goal of providing charging for a portion of PEV-driving employees. Develop and implement a partner plan that captures your organization’s workplace charging strategy. Publicly announce partnership in the challenge and highlight charging installations on an ongoing basis. Share workplace charging progress and best practices. Visit the DENC website for more information on joining the challenge!